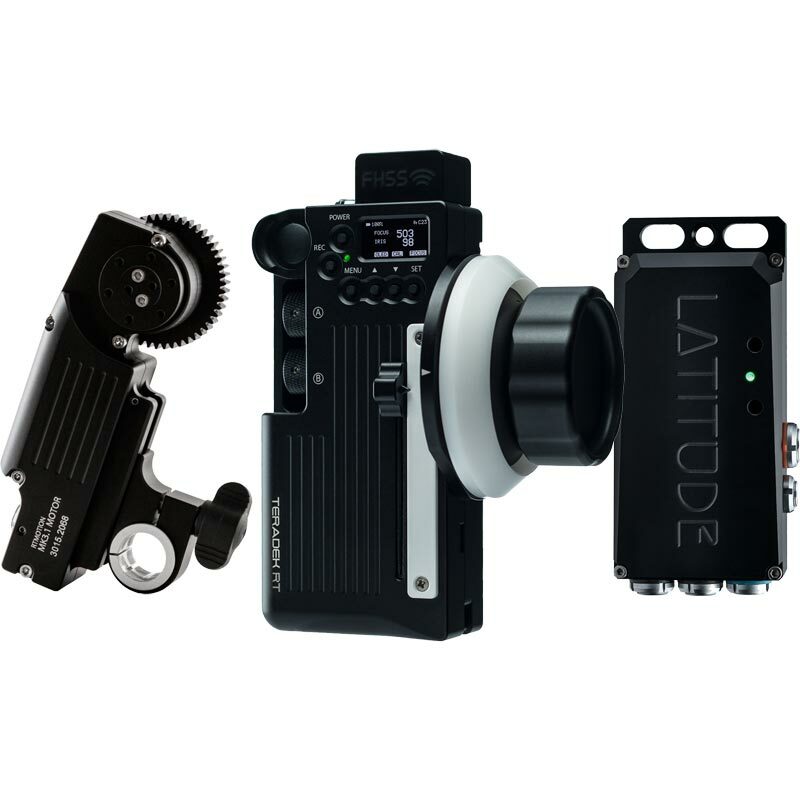 Identical to the Latitude M, the Latitude MB receiver adds an LP-E6 battery plate. Wireless reception up to 5000 ft.
Works with any Teradek RT MK 3.1 or Latitude lens control system. The 4-Axis Controller gives you extraordinarily precise control over your lens. 2.4GHz FHSS wireless system transmits latency-free commands up to 5000 ft.